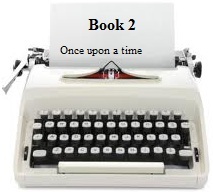 Book one is finished and in the land of agents so on Monday I started Book 2. I've had the story in my head for a long time and actually wrote it a few years ago. I got to the end and decided it was crap. So I chucked it. This happens to me a lot, which is why one of my New Year's Writing Goals was to not give up like I usually do. I still think the first attempt was crap but I am sure I can do a better job this time. I've changed the main character so hopefully she will be more likable this time (I really didn't get on with the last one) but I think the main difference is I'm more confident this time round. I know the plot and the characters better this time as I started planning it after I finished the first draft of Book 1, back in August. I'm more prepared this time, which is something I learned from writing Book 1. I had an idea of what the story was for Book 1 and part way through started to jot down the gist of it, more to help with the synopsis later on than anything. And it went well until it came to the second draft and I ended up rewriting most of the book. So this time I have planned it better. But that doesn't mean writing it is easier. I sat down on Monday and looked at my notes. I looked at my screen and the keyboard and then the notes again. How the hell did I start? I'd forgotten how hard it is to start a new book but I somehow managed it, forcing my way to around 250 words. The next thing I know, it's an hour later and I have 1900 words. Cool, I thought. Starting a new book isn't so hard after all. And then I sat down yesterday and it was like pulling teeth. I know where the story is going. I know what needs to happen in each scene but the words just don't want to appear on my screen. Still, I managed another 800 words, which isn't bad. It felt like I'd done 50! Thinking about it, writing Book 1 was difficult to begin with. So difficult I wanted to scrap the whole thing as I wasn't 'feeling' it. I gave myself until 10,000 words to see how I felt and then I would either continue or scrap. By 10,000 words I was really enjoying writing it and so I continued and finished it. I must remember that Book 1 was nothing but a blank computer screen once upon a time. So don't give up like you usually do! Good luck with book one in agent land! As for book two, gosh yes. I'm thinking when I start the next one it will be exactly the same, just like pulling teeth. But slowly the word count creeps up... at least that is what I shall focus on! Hope it all goes well! Thank you Jayne. When you've been working on the same book/characters for months, you forget how hard it was in the very beginning. But I'm getting there and I'm almost 10,000 words in so the pulling teeth must be working!